Zig Ziglar provides vital strategies for specific closes, hundreds of sales questions, and dozens of persuasion techniques to help everyone sell their ideas, or themselves. No matter what your age, gender, occupation, or lifestyle, these proven techniques from America's selling sensation can work for you. I sold timeshares. Ok.? Now I close deals. Thank you Zig Ziglar. 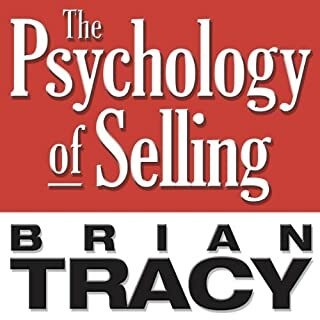 This books not only gives you specifically titled "closes" to use at certain times but also goes into the psychology of the sale and where the prospect should be mentally when the close is performed. My closing percentage has almost doubled over the six weeks I've been studying these techniques. If you're looking for a step by step through the sale process, this is it. This has been republished with a recent pub date, however, the recordings were done back in the early 1990's. 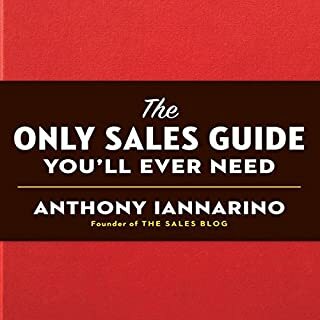 While I have no doubt that there is good information in here especially for someone new to the sales field, we are in a very diffrent sales market now than then. Zig Ziglar is great at this type sales book, but this is recycled Ziglar and not new. What made the experience of listening to Secrets of Closing the Sale the most enjoyable? He was funny at times. What was one of the most memorable moments of Secrets of Closing the Sale? Not extreme but I did have a good reaction to it. Not only is Zig Ziglar a great mentor for selling, unlike other salesman, he stands on high moral ground. Where does Secrets of Closing the Sale rank among all the audiobooks you’ve listened to so far? One of the most entertaining and useful business books I have read. Zig's personality is very engaging. The tone and storytelling make the book very fresh. The accent was surprising and entertaining. What disappointed you about Secrets of Closing the Sale? This was just a rehash of previous material, spliced together. I was really disappointed and I am huge Zig Zigler fan. First two hours were painful and boring none of Zig's normal charm. Two hours in it switched to stuff he had recorded in the 80's, that I had heard before. It is a cobbled together list of out dated tips and tricks that would be great if this was the '70's but not much good for today's market. You would be hard pressed to find a more complete sales training book. Zig's credentials were without pier and to find a book of this quality would be near impossible. Enjoy as I have over and over again and maybe we will meet "at the top", or as re more recently used to say "over the top". 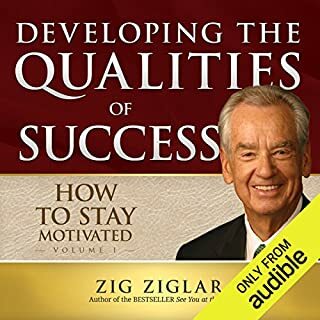 This audio "book" is actually a recording from a seminar taught by Zig Ziglar himself. The problem is that Zig's elocution is that of a southern preacher which is something I absolutely cannot listen to for more than 10 minutes. It's actually distracting. He's a character but he's great! This is a recording of a seminar Ziglar delivered. The man is a character -- his personality comes bursting through no matter the format. He is chatty, and lively -- and really full of good advice. A treasure for somebody new to the sales business. I listened to it over and over, and it was painless. As I was listening, I felt it was just kind of talk-talk-talk -- but then I realized that I had learned a great deal when I had the next sales conference with my colleagues. I surprised myself by being more confident than they, and knowing how to handle an obstacle when they did not. And this was my only sales training!! Thank you Zig Ziglar. Zig Ziglar's approach to sales does not get old, because no matter what time in history we live, we'll always be creatures of emotions. From the days of Pharaoh's to today. We think and work the same. I would highly recommend this book. It's very educational and the use of humor is perfect. Don't waste your time thinking. Just buy this book. 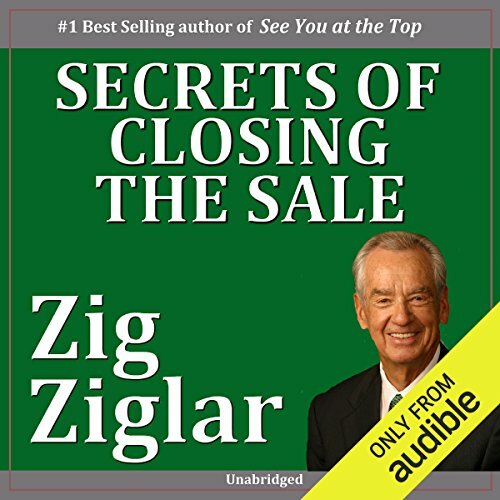 This book by Zig Ziglar is the combination of “Ziglar on Selling” and “The secrets of closing the sale” In which he discusses the details of his sales life and how he can in his words see you at the top. Ziglar is a selling master but methods to get past every questions, objection and rejection. Being over 80 many people believe that his material is dated and of little use in the real world, however, he admits himself that it is up to each and every sales person to read listen and adapt the techniques in his book to each persons own sales system. No book on sales can give you the answers to every question but Ziglar certainly does deal with an incredible amount of them in this book, I would certainly be difficult not to learn new techniques from listening to this book. Ziglar is an inspirational man, still giving talks in his 80’s. 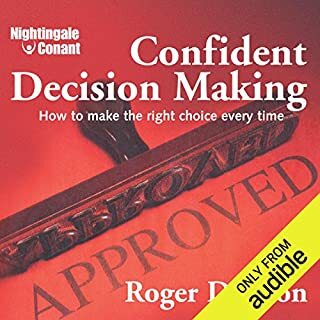 In the book he talks about procrastination as having a “little pity party for yourself”, discusses the fear of sales, the difficulty in asking for the sales, selling yourself, time management and much much more. 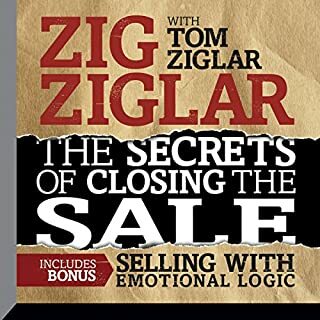 In conclusion this book is an excellent resource for anyone in the sales industry... which is everyone as Ziglar discusses, whether it’s a person selling his ideas to a boss, a wife, or children etc. His ideas are easy to understand and backed up with excellent stories which are well told. Many of these stories are about his days selling pots and pans door to door which is why some people believe his material is dated but to be fair if you adapt the material your sales are sure to increase! If you can cope with strong American accent, and personality (I can) you will love this. This book covers everything about sales and more, but delivered in great style and wit. I'm so glad to found this diamond. And in the same time I'm sad to I will never meet this guy. He not just sound like a professional he was a legend! 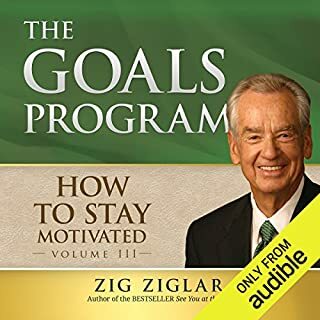 Would you try another book written by Zig Ziglar or narrated by Zig Ziglar? No question Zig was a smart and successful man. Here is the issue, just because you have written a book doesn't mean that *you* have to read it. A truly talented person understands not just their strengths but their weaknesses too. Zig should stick to writing and selling. Has Secrets of Closing the Sale put you off other books in this genre? If they are as dated and out of touch as this one then yes. Because it was a truly awful performance, perhaps not helped by the subject matter to be so dated. Could you see Secrets of Closing the Sale being made into a movie or a TV series? Who would the stars be? Whoever does this will lose money. If you sell double glazing via cold calling or some other form of home improvement and we jumped into a time machine and went back to the 1980s this would be fine. However its not. Yes cold calling *can* be effective but nowadays its all about making compelling offers to a carefully selected targeted market. Its all about permission these days, provide value first and get opt-ins and then build relationships before selling. With pay per click you can create very targeted campaigns, you can't just dial numbers from a phone directory. I am a small business owner and this book is one of my favourites to return again and again.. Must read/hear if you are a business owner or your business is to sell. I really struggle to listen to Zig Ziglar, his presentation is so old fashioned, delivered like a machine gun. Sorry, but this type of production needs to stay in the 1970s. Even though the book is very old school, the techniques are ver adaptable to today's world where we forget that social media is not the be all and end all of sales.